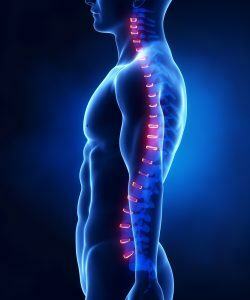 Chiropractic is a non-invasive, hands-on health care discipline that focuses on the neuro-musculoskeletal system. Chiropractors practice a manual approach. 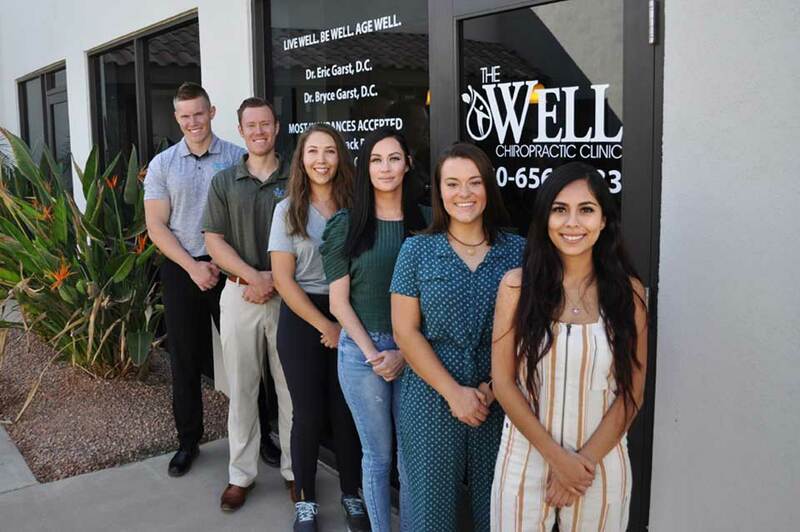 Our mission at The Well Chiropractic Clinic is to provide quality chiropractic care to our community. This includes treatment starting in infancy through adulthood. We want to promote wellness, relieve suffering and restore optimal health swiftly and safely without drug or surgery. Educating the community about the benefits of chiropractic care is also something we value greatly. As a healthcare leader in our community, our clinic also strives to be philanthropic, Each year since our inception we have raised thousands of dollars for local charities through our generous patients, staff and doctors. We want to make a difference in you, in your health and in our community. My Husbands job is very physically demanding and he has had a fair amount of aches and pains in his back, neck, shoulders etc. He isn’t someone to complain, however I thought it would be in his best interest for him to visit a Chiropractor. I scheduled the appointment and sent him in to see Dr. Eric. My hubby was against the idea from the minute, I told him he was going however he went (for me). After the initial consultation he had nothing but good things to say about Dr. Eric and his practice personally however he was still not sold on the need to see a Chiropractor. I convinced him to stick with it and go for a second visit which he did. After the third visit he had to call me (all excited) to tell me that he can move his neck further than he has been able to in years. My Husband went from one Extreme to the other and know he can’t wait for his next visit! Thank you Dr. Eric Garst !!! Great facility, amazing staff, very professional and an overall exceptional experience. Highly recommended for anyone looking for an honest, smart and motivated chiropractor. Give them a call today so that you can feel better tomorrow! 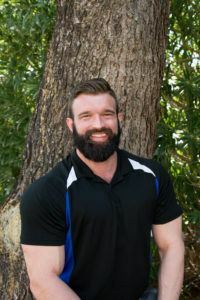 My husband and I recently moved to the area and are so glad to have Dr Garst as our new chiropractor! He spends time at each appointment making sure he addresses areas of concern and is very knowledgeable. We always feel so much better after our visits! I have had back pain since 2004, I have been to one other chiropractor, neurologists, and primary care physicians who just ordered pain meds. When I found Dr. Garst he found the issue and has fix my back. I am no longer swallowing pain pills just to walk, I feel great! Thanks Dr. Garst. Went in to get my neck looked at as it was bothering me for the past few days. Dr. Garst took the time to sit and review what was wrong and then was able to gently fix it. Thanks Dr. Garst! I can’t say enough great things about this office! I had gone to numerous doctors and chiropractors to try and get some relief from my lower back pain but nothing I did seemed to help. As a last ditch effort I decided to give Dr. Garst a shot and I couldn’t be happier that I did because within a few visits I was absolutely pain free. 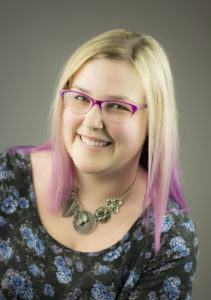 Both Dr. Garst and Karissa are wonderful, caring people and make each visit an absolute joy! If you need a chiropractor then look no further because this office is one of the best out there! My son and I came in for our initial consultation and we were very impressed! The facility was very clean, the staff was friendly and the doctor was very knowledgable. He took his time with us and didn’t make us feel rushed. 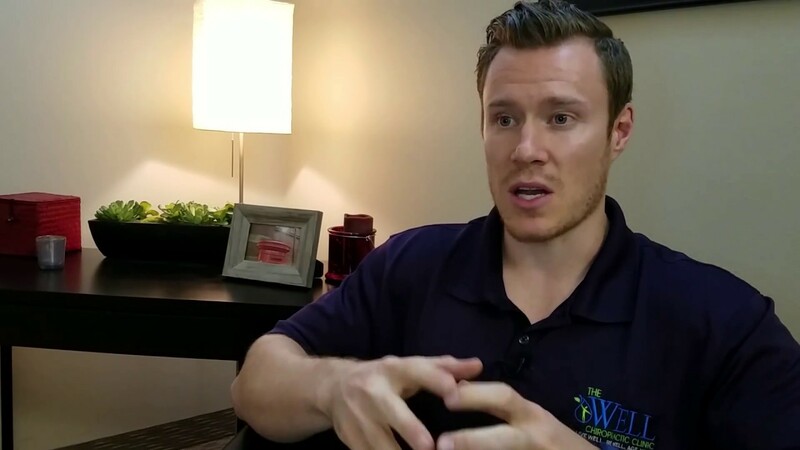 We like his approach and highly recommend this office to anyone looking for chiropractic! Dr. Garst is amazing! I came here almost a year ago after suffering years of lower back pain. He took x-rays and explained to me exactly what was going on and set me up with a plan to correct it. I now visit every month just to make sure everything stays aligned the way it should! A few weeks ago I hurt my back while working on some heavy equipment. 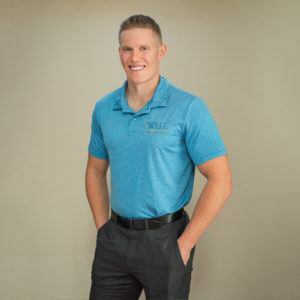 Dr. Garst had me fixed up in no time!They’re super informative, and take the time to explain everything and demonstrate specific exercises to help strengthen your back and keep everything lined up. And I’m happy to say I no longer suffer from lower back pain!!! I was extremely impressed with Well Chiropractic Clinic. The office is clean and well organized and the staff is both professional, helpful and extremely friendly. You can tell they want to help relieve your back and body aches. I broke my ankle last year and have gone through mandated physical therapy, but when I felt I needed additional help, Dr. Garst was instrumental in giving me essential rehab exercises to get me back to my active lifestyle. 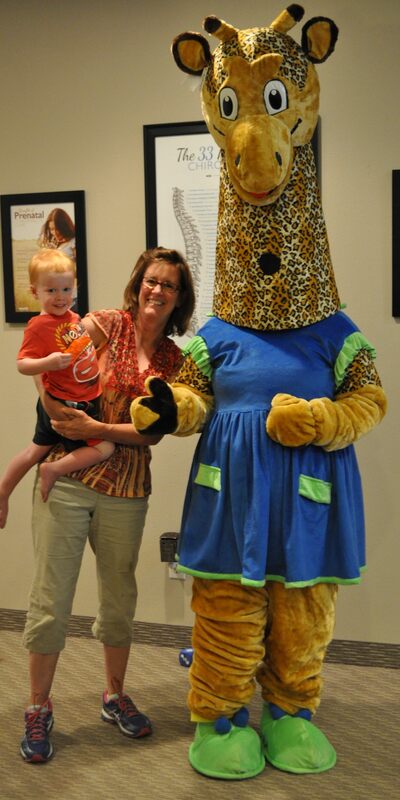 I would highly recommend giving The Well Chiropractic Clinic a visit! I’ve been to several really good chiropractors before. Dr. Garst sets himself apart by taking the individual time to assess your overall well being in addition to adjusting. I felt like a million bucks after my first adjustment at his office. Can’t say enough good things about the service at The Well Chiropractic. They treat everyone will respect and always go above and beyond to make sure you get what you need. Highly recommend to anyone struggling with back pain, hip pain…whatever the case they’ll get you moving again. Well Chiropractic Clinic has helped me immensely since I started having issues with back and leg pain I recently started experiencing. 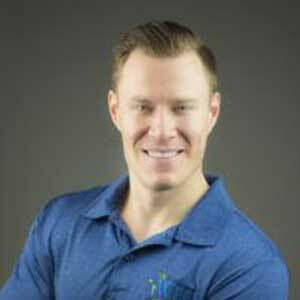 From the very first visit, Dr. Eric Garst has made me feel involved and educated about chiropractic practices being implemented throughout my treatment plan, which was personally mapped out for me. Their facility is well kept, there are never any waiting times during my appointments, and all the staff are extremely helpful and nice. I was a skeptic at first, but now I’m starting to gradually improve as I continue my visits and implement the stretches recommended by Dr. Garst. 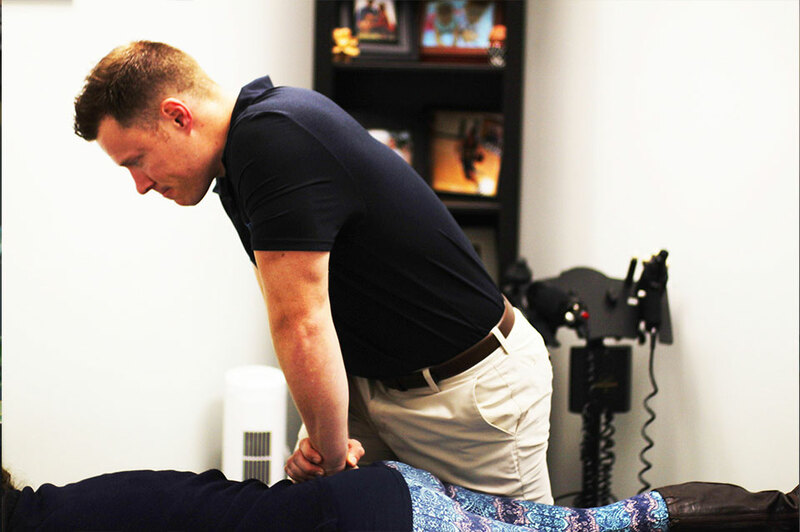 Spinal Manipulation, also called spinal manipulative therapy, combines moving joints in a precise manor to elicit an improvement in function. It's designed to relieve pressure on joints, reduce inflammation, and most importantly improve nerve function. It's often used to treat back, neck, shoulder, headaches and many other aliments. Our doctors are trained in a diversified manor, utilizing many techniques/approaches to get you the best relief possible. Spinal decompression is a non- surgical treatment intended to relieve pressure on compressed nerve roots around the spinal column and the intervertebral discs. Decompression of the spinal neural elements can be a key component in treating spinal radiculopathy, myelopathy and intervertebral disc problems. Electrotherapy is the use of electrical energy as a natural treatment. This therapy is aiming to stimulate the musculoskeletal system to aid in treatment of many common ailments. Our office provides a wide variety of Electrotherapies, including EMS, Interferential, and therapeutic ultrasound. Therapeutic Exercise refers to a range of physical activities that helps restore and build physical strength, endurance, flexibility, balance, and stability. The goal is to returning an injured person to a pain-free, fully functioning state. Our office uses many tools to help us accomplish this including a state of the art A3 Vibration Plate, Theraband Resistance training, Medicine ball retraining and much more. 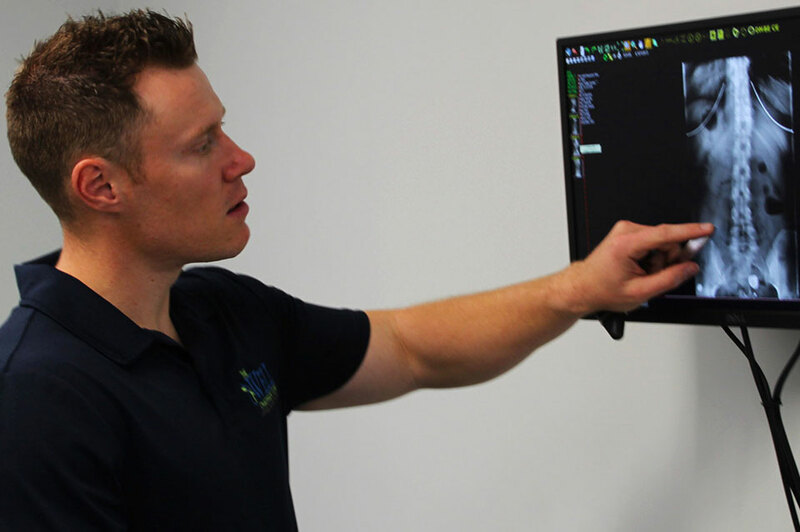 To provide our valued patients with the best care possible, our office has a state of the art digital X-Ray unit on site to aid the doctors in properly diagnosing. Proper diagnosis of any spinal condition leads to proper treatment recommendations and better outcomes for our patients. Joint mobilization is very similar to spinal manipulation in its purpose to restore normal function of a joint. Our doctors not only provide spinal manipulations but also manipulations/mobilizations to extremity joints. Common ailments treated with mobilizations include frozen shoulder, carpal/tarsal tunnel and tennis/golfers elbow. Have you ever wondered how chiropractic care can improve your life? Here you can find answers to three of the most common questions we get about chiropractic care by clicking on the questions below! Often times, chiropractic care can be slightly misunderstood. The truth is chiropractic care, along with other healthy lifestyle programs, promotes wellness, relieves suffering, and can help to restore optimal health swiftly and safely without drug or surgery, from infancy through adulthood. Here are some misconceptions about chiropractic care and their related truths. Print, fill out, and bring with you!